Land Speed Record Racing... You have just received the latest monthly update from Rosco McGlashan and the Aussie Invader 5R team. 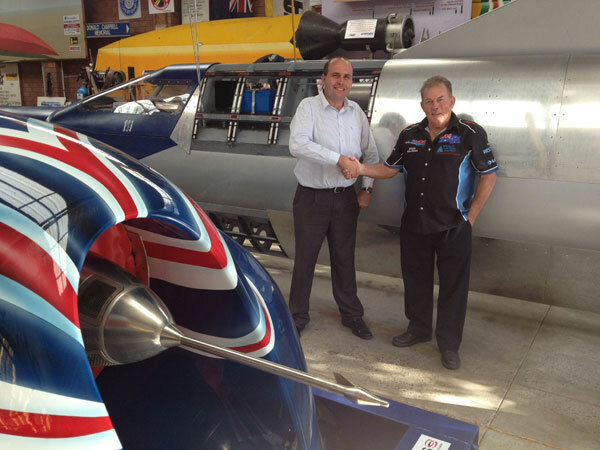 Howdy to all of our sponsors, supporters, 1000 MPH Club members and followers, welcome to our April Newsletter. So much has happened this month with our project that I would need to write a book to give you a complete update on what we have achieved over the past few weeks, but in a nutshell here is what our mighty team has accomplished. We have gained some great sponsorship support for our project from Air Liquide, Australia’s best industrial and medical gas suppliers. We are working with Air Liquide's engineers to assist KJ Beer, SVT Engineering and Rocket Lab NZ to design and build our LOx tank which carries 2.5 tonnes of our cars oxidizer and must be insulated to minimize a high boil off rate. These tanks must have both lateral and yaw baffling to prevent slosh which could destabilize our cars directional stability, be easily refilled on turnaround and obviously be mounted for a serious +/- G environment. Thank you Brian Ferraro and the Air Liquide team. Nuplex Industries have also joined forces with us this month to sponsor the much needed carbon fibre and composite products we need to build our cars nose, this nose section has been under development for quite some time and thanks to SOTO Engineers in Woolongong and Curtin University here in Perth we are close to getting this big job underway. Thanks Mal Cowan and Nuplex Industries for your great support. 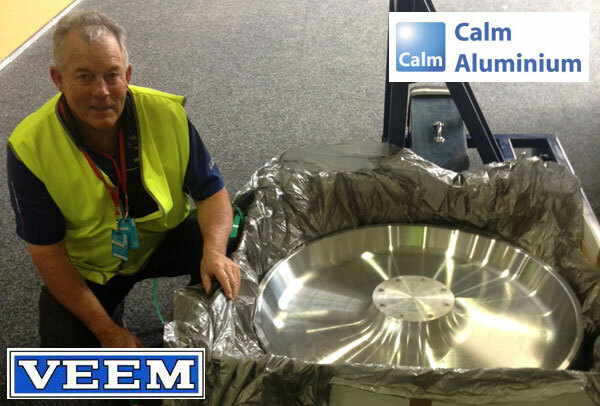 Yippeee… Veem Engineering have completed the machining of our 6 x 900 x 200 mm solid CALM ALUMINIUM 1000 mph wheels… (1 spare front, 1 spare rear). The wheels are currently at CGC Engineering in Bassendean here in Perth awaiting a date with their shot peening operator to blast the contact surface area of each wheel with 460 grade shot. This will surface harden each wheel, with the work planned for next week and once they have been shot peened they will need to go back to Veem Engineering for balancing. Once balanced we will then fit our quad bearing set in each wheel (supplied by SKF Bearings), fit our Garlock high speed seals and marry them up to our Kentin Engineering axles, which are currently under development. We are hopeful our car will be a roller within 5 weeks. Guru team member Mike Annear and engineer Stuart McCrae have been busy with the CAD design of motor mount and motor attachment. One as well overcoming some technical issues making our air brake doors function. The one aspect of our rocket motor and its mounting is that it will simultaneously pull and push the car. The motor will also be mounted so we can gimbal the engine, which will allow us to direct the thrust slightly, left, right, up and down. Land Surveys in Perth kindly offered us the use of their Faro Focus 3D scanner to generate and image of the rear end of our car and motor. 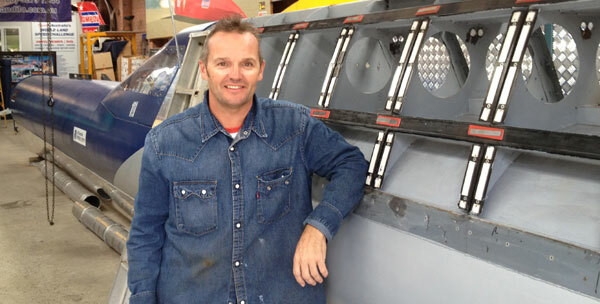 The air brakes are such a critical component in the record attempt that team member Pete Taylor was sent off to the recent Avalon Airshow in Victoria to study some aspects of air brakes on fighter jets. If these fail to perform to the max it will mean the car will not slow as quickly and every metre we over-run is another metre the car will need to be towed back to the start line for a record return run, eating into our 1 hour turn around time. 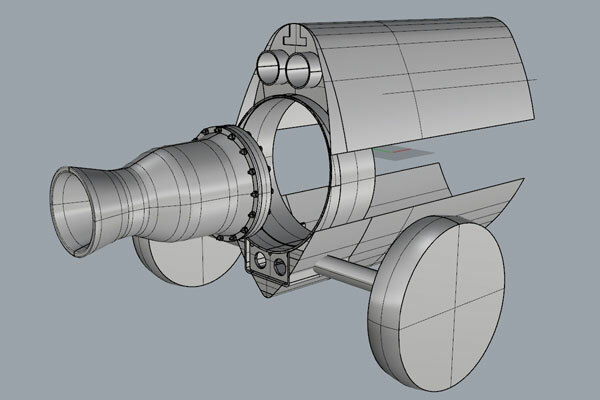 Stefan Brieschenk from the Centre for Hypersonics at the University of Queensland has been assisting us with the design of these components and we now have finalised air brake design and it should be under construction very shortly. Thank you all. Our car is currently being wired up with her onboard 12/24v power supply, work being done by Perth’s leading auto electrical company, more on this next month. Onboard hydraulic work on our car is being completed by United Fluid Power and Mining and Hydraulic Supplies Malaga, more on this next month also. Commercial Sewing are a long time friend and sponsor of our project and have again assisted us with some braking chute strops. 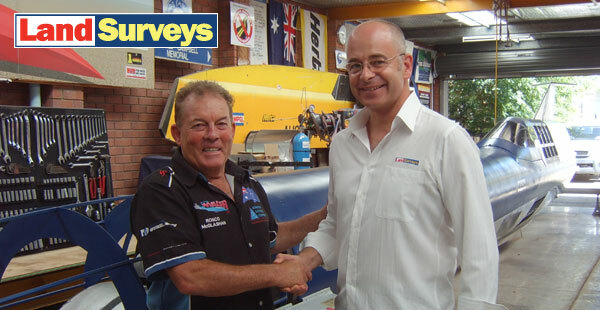 These people do the very best work in the business and supply the bulk of Australia’s lifting slings and safety equipment. If you need anything in this line? Call Michael he’ll make it happen! Thanks Neil and the Total Cam Solutions crew for machining our engine bosses. Thanks Di Candilo Steel City for you continued support of our project. Thanks Lawson “Chomper” Freshner and Petroleum and Mining Engineering for the first class welding work recently done for us… Chomper has a great future! We planned on visiting our far Western Queensland possible race site this month but unfortunately could not it due to flight restrictions and timings… hopefully we will be there very soon. A few months back we were able to get Aussie Invader 3 mobile, thanks to Matt Birney and Covs and had quite a few requests to appear at functions and events. It is great to see Australia's fastest car wowing the public once again. We were invited to appear at the Mustang Car Nationals in WA on Easter Sunday with Aussie Invader 3. The reaction from fans young and old was tremendous and we rubbed shoulders with some of our new 1000 MPH club members. If you want to ask about Aussie invader 3 appearing at your event or corporate day, please contact rosco@aussieinvader.com, but there is a charge for transport and appearance, depending on distance. We mentioned in last months newsletter that South African jet car pilot Peiter De Wit was injured at Perth's Motorplex after a high speed crash driving one of Chuck Haynes jet dragsters. Good news is Peiter has just been discharged from hospital and is back at work… our teams best wishes go out to him for a complete recovery. Woocom come have been working hard on the designs of the new Aussie Invader website and we hope to have this moving to the production phase very soon. Thanks guys for your great work and a big thank you also to Emma at Woocom who is assisting us with her social media skills and helping us to ramp up our social media exposure and hopefully our fan base. Boy it’s all happening and we are all doing our best to get to the start line! Until the next time, be your very best. Please note sometimes the links in the newsletter do take a time to open and can timeout as we may have many readers online. Servers can become very busy when we send this newsletter out. All links have been checked and should work. If you get any errors please retry or click on the link at the very top "View it in your browser". Copyright © 2013 Aussie Invader, All rights reserved.